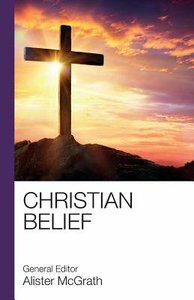 In this highly accessible guide a team of expert contributors provide an authoritative and comprehensive survey of Christian belief. After an initial historical overview, six major chapters on Faith, God, Jesus, Salvation, the Church and Christian Hope assess in detail the breadth of Christian teaching and doctrine. Each chapter is interspersed with user-friendly boxed features that focus on key subjects such as Jesus and women and Christian ethics. Culminating with an anthology of extracts from major Christian thinkers, this book provides an ideal overview for scholars at all levels of study seeking to become acquainted with the sweep of Christian teaching.